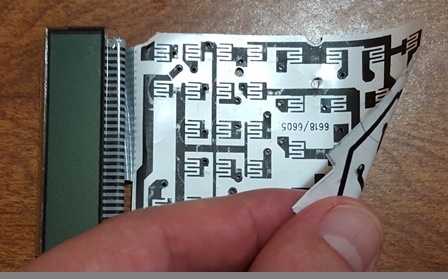 What is this “paper-substrate pcb” technology called? The paper is plasticized and shiny, but there are fibers present if it is torn. It has the equivalent of plated-through-holes. The conductors are thin, matte-back material that look similar to toner. This is a kind flexible PCB, and as Samuel mentioned, it probably uses PET as the substrate but many other options are available. It's called a membrane switch. ... a membrane switch is a circuit printed on PET or ITO. The ink used for screen printing is usually copper / silver / graphite filled and therefore conductive. In this case it's a membrane keypad. Very commonly used in electronics that need to be cleaned (microwaves and medical devices) or made very cheaply (keyboards and calculators). Though your dollar store calculator probably didn't buy it from them, 3M (at least) makes a version with paper in it. I don't doubt it's a method that has been used by a lot of other manufactures. Not the answer you're looking for? Browse other questions tagged pcb pcb-design pcb-fabrication materials or ask your own question. What is this switch called? How to choose PCB manufacturing technology/factory? What type of paper is good for the toner transfer PCB process? Multilayer PCB - are there voids in substrate between layers? How to attach a paper screen to a DIY PCB? What is this PCB (IC?) connector called? mini vacuum for PCB production? what's it called? What is this wall-to-PCB connector called?